The economics of target marketing relevant information to the consumer is extremely effective and a benefit to any business or brand. Through the advent and growth of social networks the consumer is already sharing information and engaging with the brands they trust and admire. Being able to capture these consumers when they are interested and engaged becomes critical to the success of the marketing of the brand. 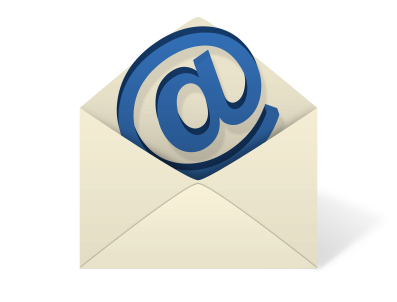 So, the challenge is, how do brands turn fans and followers into an email subscriber. The answer here is to get the consumer's permission to have direct, targeted, relevant information sent directly to them. Most consumers would confirm that the best way to get your brands message to them would be by email. The brand then must maintain a level of engagement to keep the consumer interested. A good way to think about this is to ask yourself, “If I received this email would I open it?” A well thought out email campaign is critical to the ongoing relationship being established. Facebook and Tweeter are ideal for converting fans and followers. With Facebook create a call to action or widget with an opt-in form for the consumer to sign up to receive upcoming messages. Create contests, give away coupons, free reports and any other information the consumer will find relevant. Maybe have testimonials on the landing page of other consumers who are pleased with the information. This can also be accomplished through Twitter by using an abbreviated URL with a catchy description to get followers to click on the link and go to the brand’s landing page. Tweet about contests, give-aways, exclusive offers, etc. The consumers are following the brand for a reason and in most cases they will opt to receive what the brand is offering. Very few brands do this and if your message is compelling enough your fans will request more information. Do the same on your websites and blogs and you will find your email list growing pretty quickly with the most important consumers to your brand. Frank Serio, CRS can be contacted at REMAX By The Sea, in Bethany Beach Delaware. For no obligation updates on new listings in the Bethany Beach and Fenwick Island Delaware resorts just click here, www.ListingUpdate365.com.